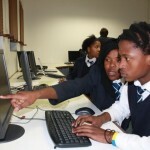 The Global Change Project is a partnership initiative between the City of Cape Town and Centre for Climate and Earth System Science (ACCESS) with a focus on high schools in Cape Town. ACCESS is a multi-institutional body facilitating earth system science research and capacity building and training. They are involved in various educational and outreach initiatives and have partnered with the City’s Environmental Resource Management Department’s Capacity, Training and Education Unit around the development and implementation of Green Auditing for Schools. The first phase was the development of the toolkit, which provided information for learners and educators on how to do an eco audit at their schools. This considered elements such as waste reduction, water conservation, energy efficiency and promoting natural biodiversity. An Activity and Information Booklet for learners that outlines what a green audit entails (background information); Information on Waste, Water, Energy, Biodiversity and Carbon e.g. what excess carbon emissions mean for the planet, how individuals contribute. A Teachers Guidebook that provides guidance to teachers which will enable learners to do audits and make the curriculum links. A set of Audit Sheets that can be copied for learners to audit their schools. A set of Activity Sheets to support learners and teachers to do the audits. During the second phase eight schools were invited to participate in the programme. 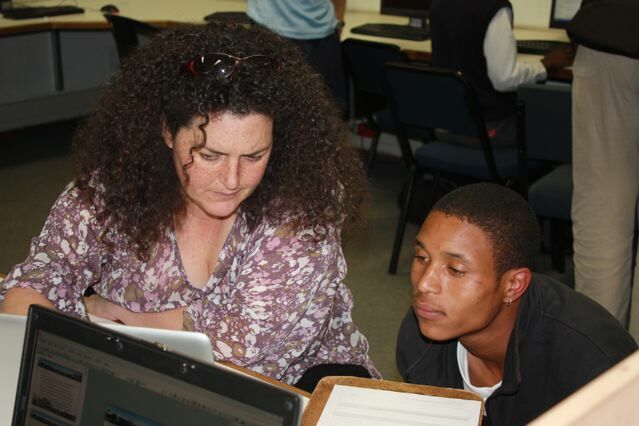 The first step was to host a workshop for the educators, followed by a workshop with the learners. The schools received toolkits and were linked up with “twinning” schools and mentors to assist them throughout the process. 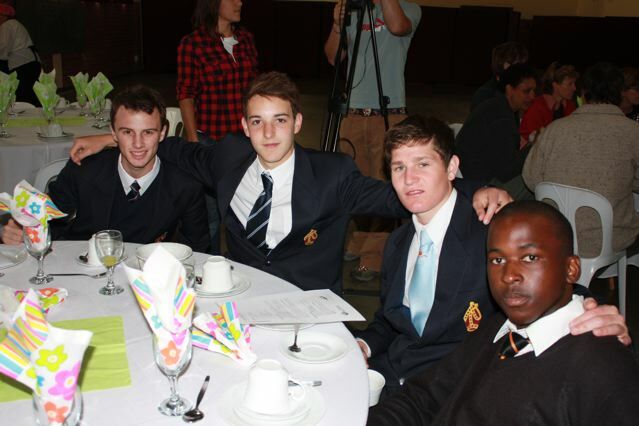 Different educational sessions were held with learners from the various schools and practical support was provided. Of the eight selected schools seven completed the audit and submitted their retrofit plans. Three of these schools are from a disadvantaged and four from an advantaged backgrounds. It is a schools twinning project with an advantaged and disadvantaged school working together. The aim of the twinning program is to match schools which are under-resourced, with well-resourced schools. 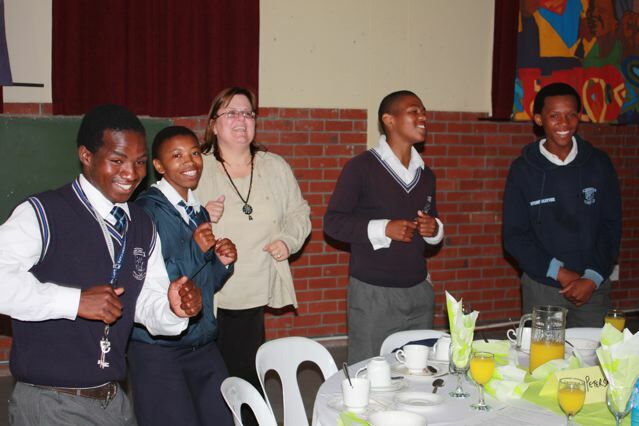 And it gave learners an opportunity to transfer skills, knowledge and peer understanding. Schools received property guidance and direction from the implementation team. The audits at the schools were completed and presented by the learners at a workshop on 17 October 2010 at South Peninsula High School. They had to provide an overview of the findings of their audit as well as the proposed retrofits that could be done at their schools. Each of the schools then received R30 000 which they could use to implement a section of their retrofit plans at their schools. They had to consider what would have the most effective impact and the long-term sustainability thereof. This is currently being implemented and further details to follow soon. St Cyprians, Hout Bay and South Peninsula are proceeding with planting food gardens. LEAP and Springfield has a focus on waste minimization through implementing recycling and vermiculture (worm farming), while Bishops is focusing on energy efficiency. St Cyprians and Springfield are both installing rainwater harvesting tanks. More details to follow as the implementation unfolds.